In South Florida a Personal Injury Attorney should be contacted right after you have been in an accident. Injuries often don't reveal symptoms until much later, which is why it is important for a doctor to evaluate you. In order to continue with your case, your attorney Robert E. Gluck will have to prove negligence. If negligence can be proved the guilty party will have to pay for your medical bills. Negligence can happen when an individual fails to use a reasonable standard of care. Your South Florida Personal Injury Attorney, Robert E. Gluck, will work hard on your behalf to try to get you the settlement you deserve. He will give you the emotional support and legal guidance you need in order to feel more confident and less stressed. Your attorney Robert E. Gluck will serve as a powerful voice for you during your case and protect your legal rights. He will not allow the insurance companies to push you into any unfair compromise. You can count on Robert E. Gluck for exceptional legal services. Hiring a South Florida Personal Injury Attorney will greatly improve your chances of getting financial compensation for your injuries. Research indicates when an injured person has legal representation, the likelihood of receiving a settlement is greater. Robert E. Gluck became an an attorney in 1989, and he has since then represented many injury cases similar to yours. He will be at your side from day one until your case is completely finished and closed. Hire Robert E. Gluck as your injury attorney for a better chance to win a settlement. 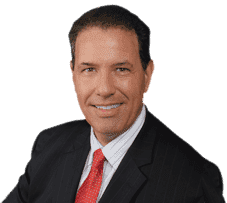 Your South Florida Personal Injury Attorney Robert E. Gluck, will greet you personally at the Law Offices of Robert E. Gluck, P.A. Robert E. Gluck will work hard to try to get you the settlement that you deserve. He will speak with witnesses and obtain their witness statements. He will take pictures of the accident scene and secure video footage. He will also look for property damage, as well as gather all the information he needs to put together a strong case for you. You will be impressed with how professional Robert E. Gluck is, and how aggressively he will fight on your behalf.